Time flies. It has been eight years I haven't updated my site. Things has changed quite a lot. No more BREW and Nokia. From successful Wii to failed and short lived Wii U. Everyone can be a blogger and you don't need to be some sort of leader to have millions of followers. Guess I need to make myself a blog site too. 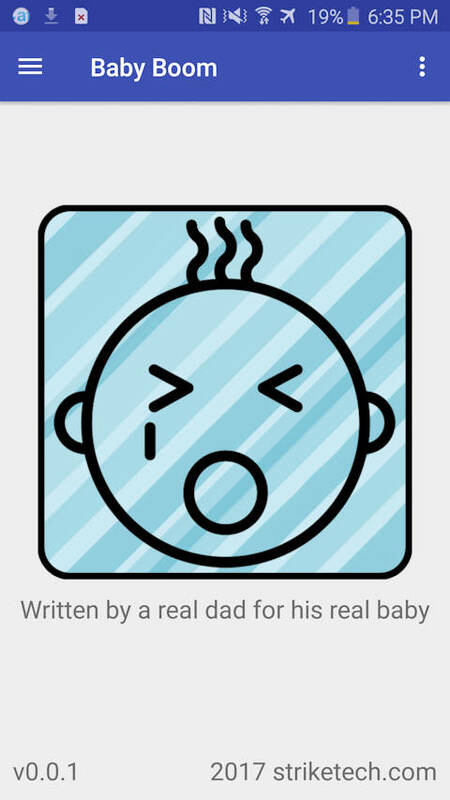 Working on 2 apps while entertaining my new born baby. On a trip to Strumsoft India office. It's actually pretty fun to work there. 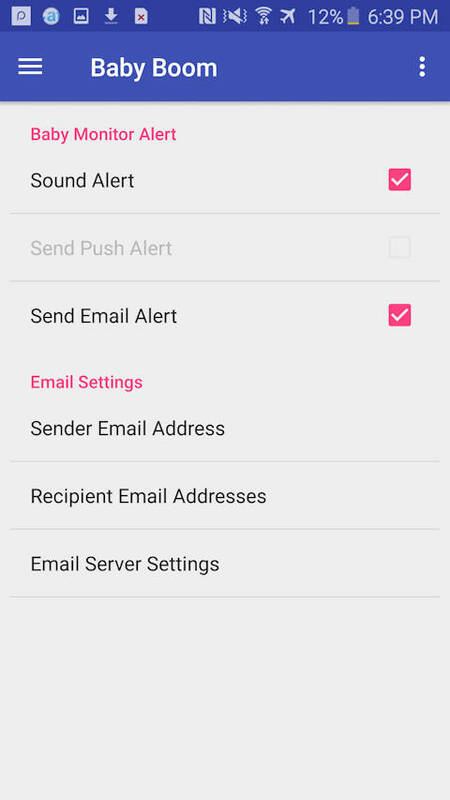 A new mobile project that I'm helping that company with. 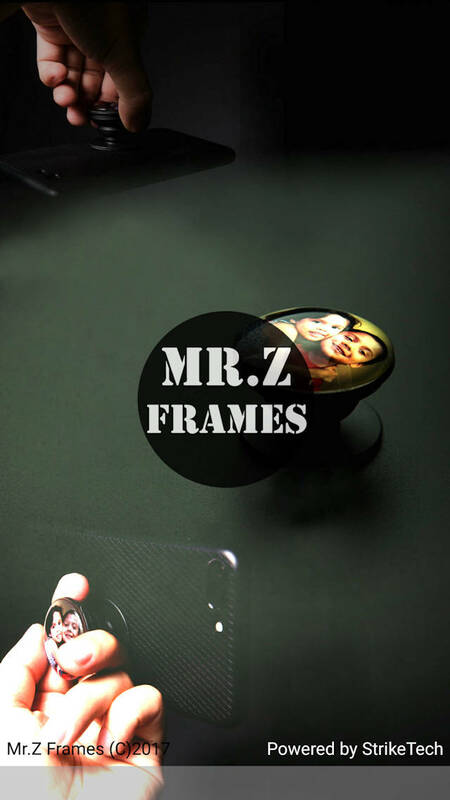 It is a very cool applicaiton that allows you to stream video directly from your phone to the Internet and your friend can view it in real time with minimal delay. You might ask what is the difference with YouTube. 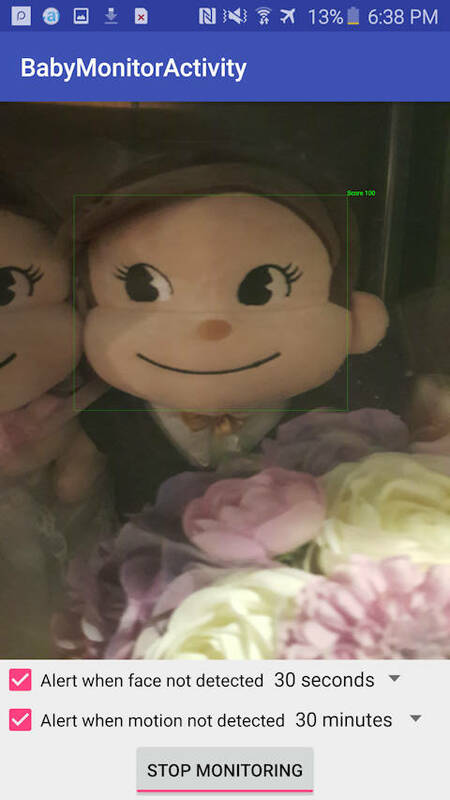 The Qik Client can stream the video live from your cell phone, there is only a few seconds delay in using the Symbian client and there is a Windows Mobile client on the way. The Java client will send the video only after stopped recording, but it is still much better than you need to download it to a PC, upload to YouTube.com and wait a few minutes for them to do the conversion before everyone can see it from the web. 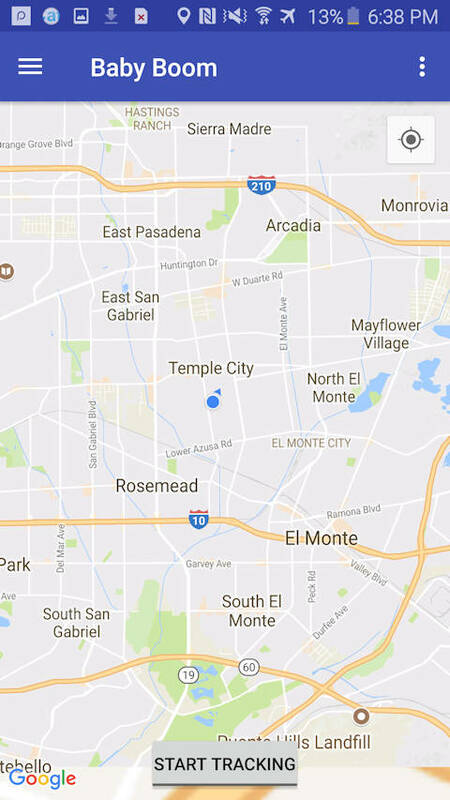 I have created a group of Mobile Developers and will start putting information to it. Feel free to join this group. Finally, I fixed the animated logo at the upper corner after 8 years of corruption if you view it using Interenet Explorer. That logo made it 10 years ago and that is my first and final 3D Studio work. 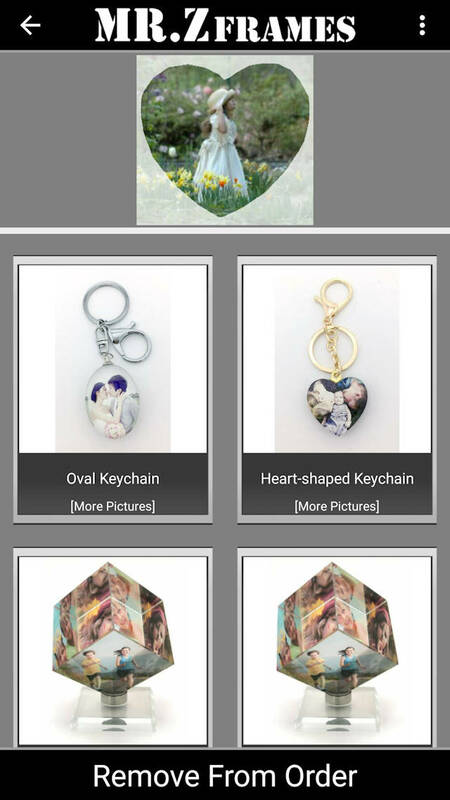 Updated the Products page with the work I have done in these 3 years. Official MobileTunes web site, but it has never got updated. 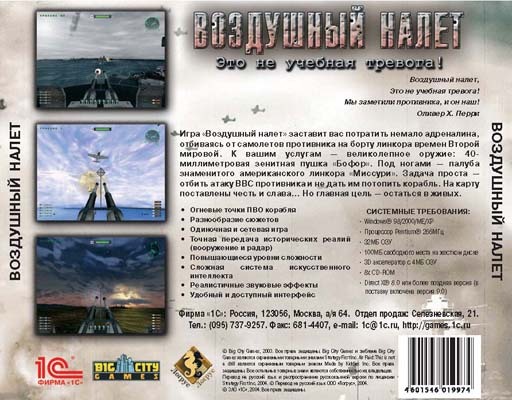 Haven't updated this web for several months, finally I bring you the CD cover and box of Russian and Taiwanese Air Raid! I am getting sick of the logo (above) I made 10 years ago using my limited drawing skill, should find some time to design and make a new one. Alien Blast: The Encounter can now be preordered from some online stores: EBGames, GameStop, Amazon. 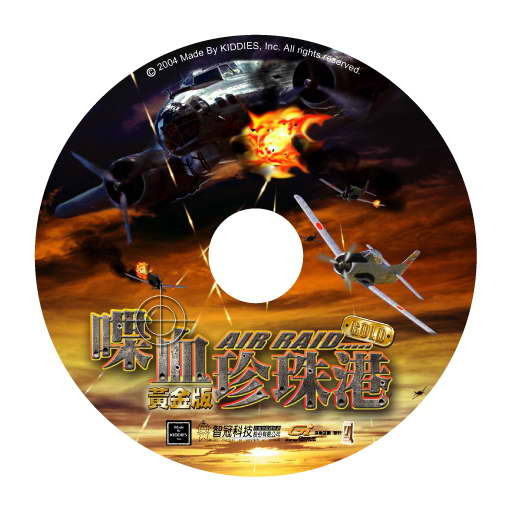 A couple of reviews of Air Raid is added from magazine or online websites. 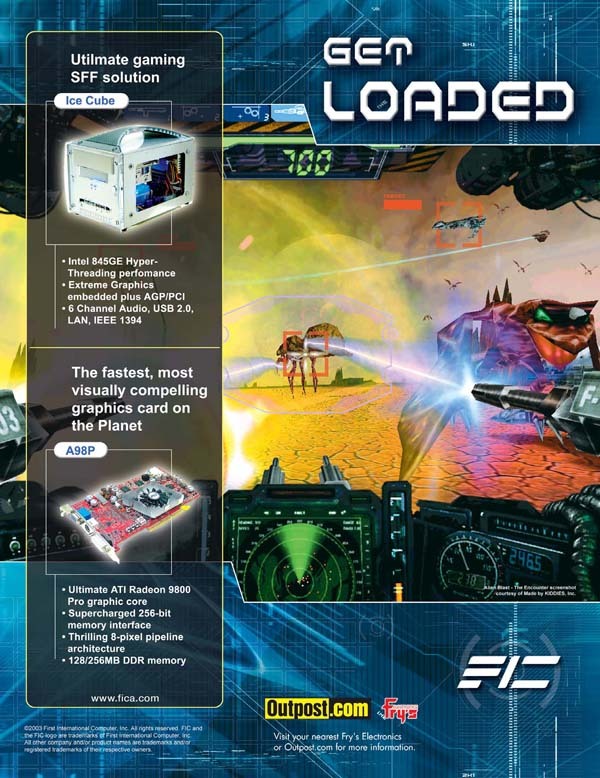 FIC ATI Radeon 9800 Video Card magazine ad (PDF) featuring Alien Blast: The Ecounter is added. 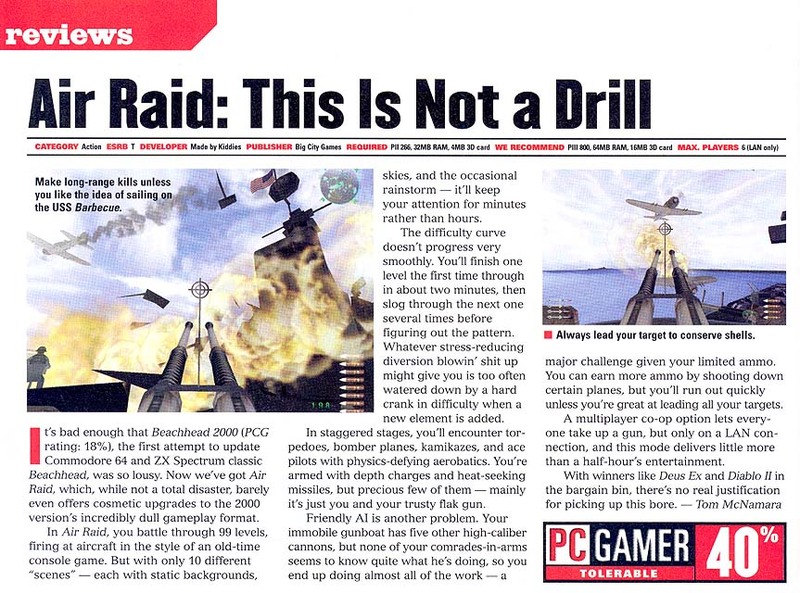 Scan of Air Raid: This Is Not A Drill review (PDF) in PC Gamers magazine October 2003 is added, not a good review though. New Alien Blast: The Encounter Demo v1.20 is now available at 3DGamers.com. Mech Arena - The First Match is renamed to Battle Arena - The First Match. Made By Kiddies signed with Strategy First again to co-publish Alien Blast: The Encounter, it is expected to be released by Christmas 2003. Mech Arena - The First Match (a.k.a Beauty vs Machine) is now on 3DGamers.com with screen shots. Alien Blast: The Encounter Demo is now available to download at 3DGamers.com. 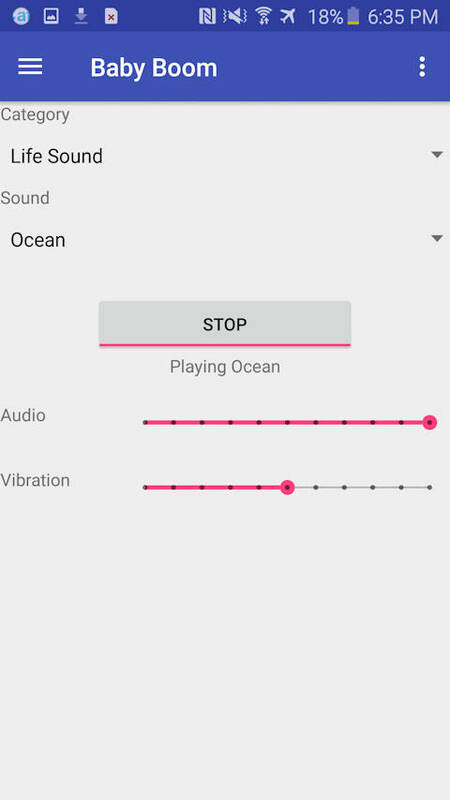 The demo has 3 selected levels from the full version. Alien Raid: The Encounter is officially renamed to Alien Blast: The Encounter to avoid confusion as a sequel to Air Raid: This is not a Drill. 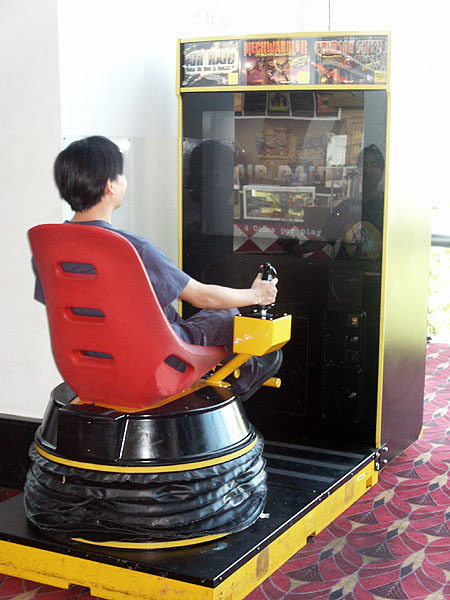 Pictures of Air Raid arcade version on a TsuMo Junior machine (picture1 / picture 2) added. 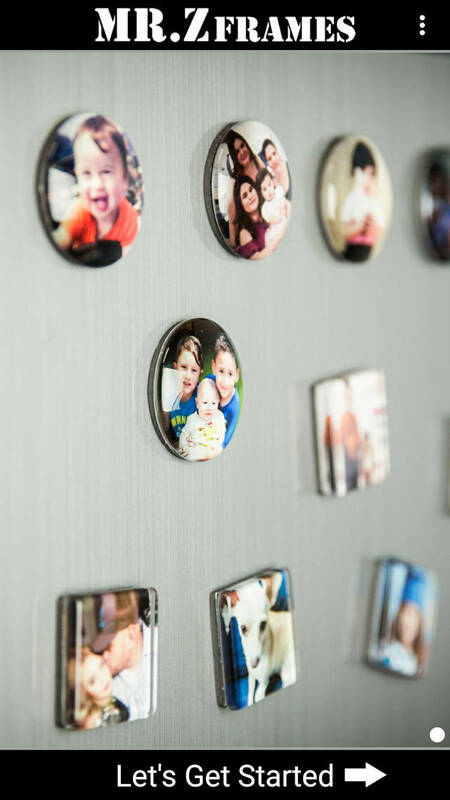 They were taken at Yerba Buena Center for the Arts, San Francisco. 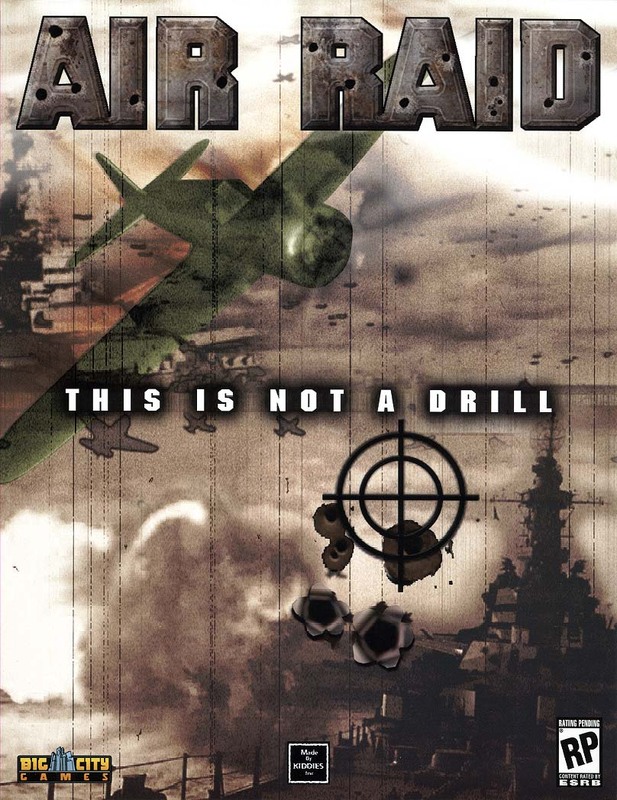 Poster of Air Raid: This is not a Drill PC Version from Big City Games added. Front and Back. Screen shots and game demo video of Alien Raid: The Encounter are now available to download at 3DGamers.com. 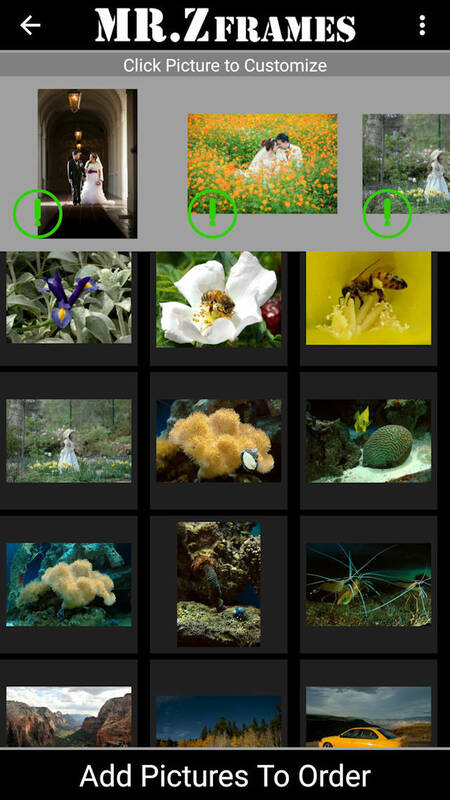 You can also check the screen shots at Alien Raid's official web site. 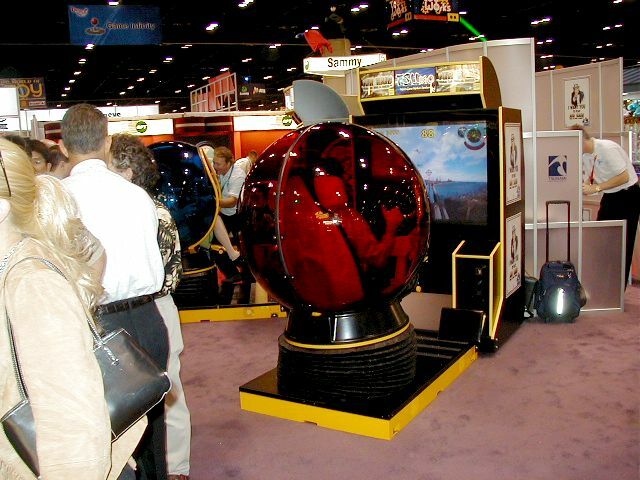 Here are several videos of Air Raid, the arcade version, at IAAPA Orlando 2002 Trade Show last Nov, 2002, featuring Tsunami's Sumo machine. Strategy First might publish two other games developed by Made By KIDDIES, Inc. - Extreme Vegas and Alien Raid: The Encounter. Big City Games, a new game division of Strategy First, signs Air Raid: This is not a Drill! For North America! It will be distributed by Encore Software, publisher of Dragon Liar 3D and Dare Devil. Four company names involved in a game, does it sound very complicated? 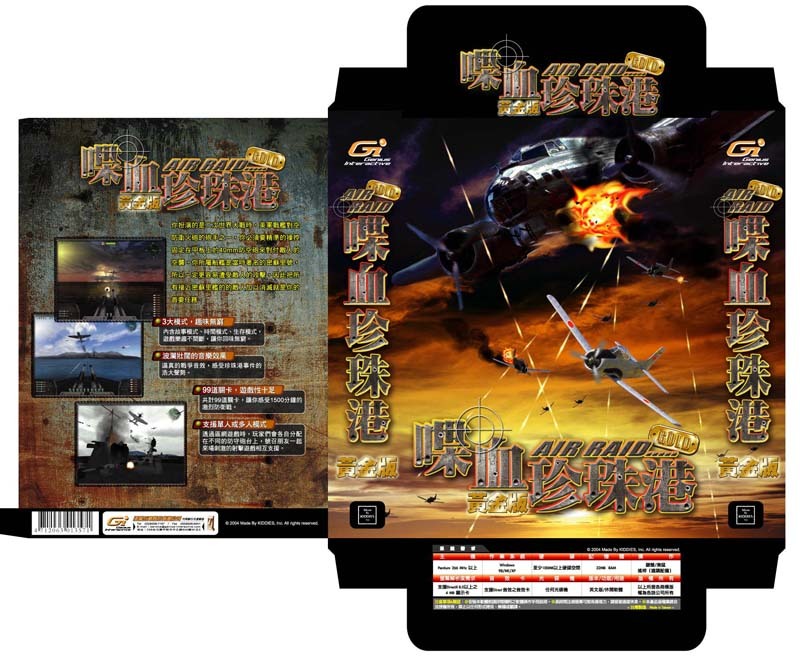 Strategy First, a Canadian company, will finally co-publish Air Raid - This is not a Drill with Made By KIDDIES, Inc.
Official page of Air Raid at Tsunami Visual web site. 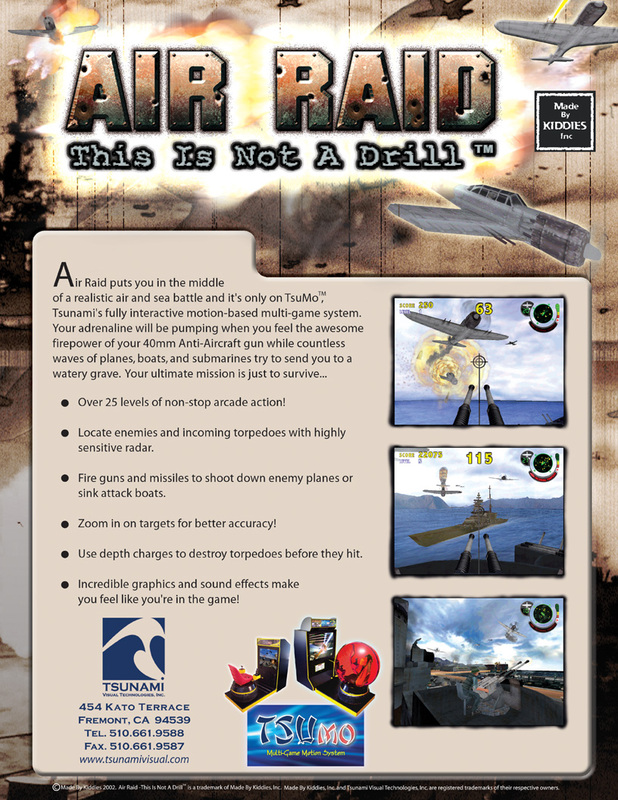 Tsunami Visual Technologies, Inc., announced the release of Air Raid - This is not a Drill arcade version. News press is here and also the Air Raid poster (arcade version) from Tsunami. 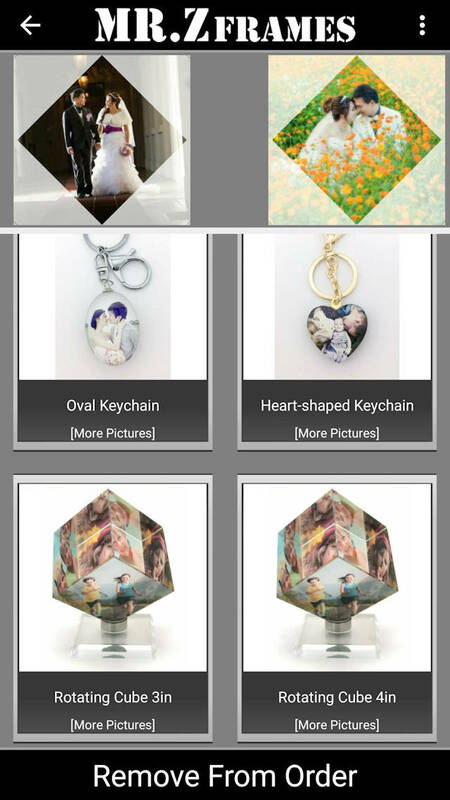 I am redesigning the web site. More programming tips, articles and information will be provided. 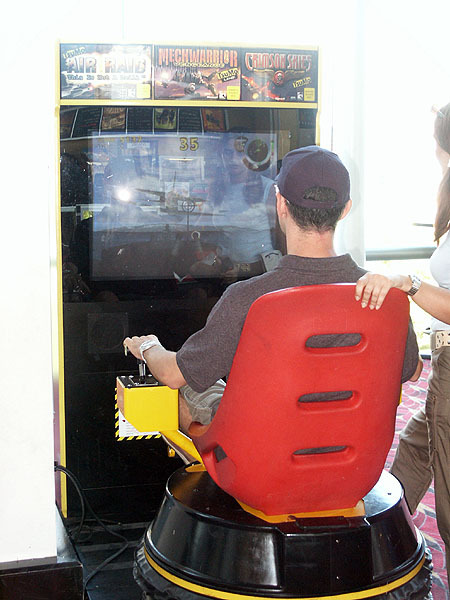 Air Raid (the coin-op/arcade version) was first debuted at IAAPA Orlando 2002 Trade Show. More pictures of that trade show at Fillmore Games, Inc's web site. I will add some videos later.